Nasa on Tuesday announced that the Mars Curiosity rover has detected methane on the Red Planet. Whether the Martian atmosphere contains traces of the gas has been a question of high interest for years because methane is a potential sign of life. The team responsible for the Sample Analysis at Mars (SAM) instrument suite on the Curiosity rover announced that it has made the first definitive detection of organic molecules on Mars.This comes a year after the Curiosity rover team announced that it had found no evidence of methane on the Red Planet. 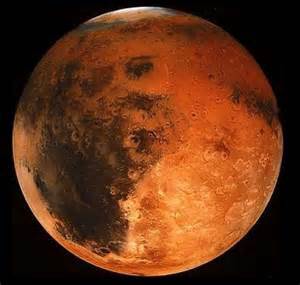 The surface of Mars is cur d f rently inhospitable to life but there is evidence that the Red Planet once had a climate that could have supported life billions of years ago. For example, features resembling dry riverbeds and minerals that only form in the presence of liquid water have been discovered on the Martian surface. The organic molecules found by the team were in a drilled sample of the Sheep bed mudstone in Gale crater, the landing site for the Curiosity. Scientists think that the crater was once the site of a lake billions of years ago and rocks like mud stone formed from sediment in the lake. The mud stone was also found to contain 20% smectite clays. On Earth, such clays are known to provide high surface area and optimal interlayer sites for the concentration and preservation of organic compounds when rapidly deposited under reducing chemical conditions. The discovery shows that the ancient environment offered a supply of reduced organic molecules for use as building blocks for life and an energy source for life. “We think life began on Earth around 3.8 billion years ago, and our result shows that places on Mars had the same conditions at that time -liquid water, a warm environment and organic matter,“ said Caroline Freissinet of Nasa’s Goddard Space Flight Centre. “So if life emerged on Earth in these conditions, why not on Mars as well,“ Freissinet added. Is Email Marketing working for you?